Featuring a 15 inch bar and two chains, this pack represents excellent value. 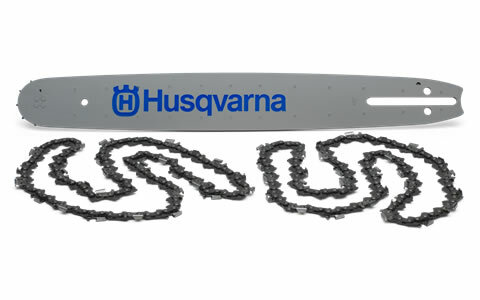 A genuine Husqvarna product designed for compatibility with their 545, 346 XP, 560 XP Series, 455 Rancher, 455 E and 555 Series chainsaws, included with this pack is a 15 inch guide bar plus two 64 link chains, each with a .325" pitch and .058" / 1.5 mm gauge. If you have any questions or are unsure if this pack is compatible with your chainsaw, please feel free to contact us first.